Wat is dit voor site? Wij zoeken de goedkoopste boeken op internet. Learn a Language Your Own Wayvonden we het goedkoopst op Bol.com voor €17.99. We hebben gezocht in nieuwe en tweedehands boeken. Rechtsonderaan de pagina kan je het boek direct bestellen	via Bol	.com. Learn a Language Your Way Have you ever considered learning a foreign language? Are you interested in learning a foreign language, but unsure as to which language to study? Are you afraid that foreign language study may be too costly and time consuming? This book presents the reader with a basic background in languages, the benefits of being a multilingual speaker, the introduction of fairly inexpensive language learning tools, and the value of a professional proficiency exam. So whether your interest in learning a second language lies in personal or business reasons, you will find a wealth of useful information inside that you can use to learn a foreign language regardless of your motivation, time schedule, or budget. 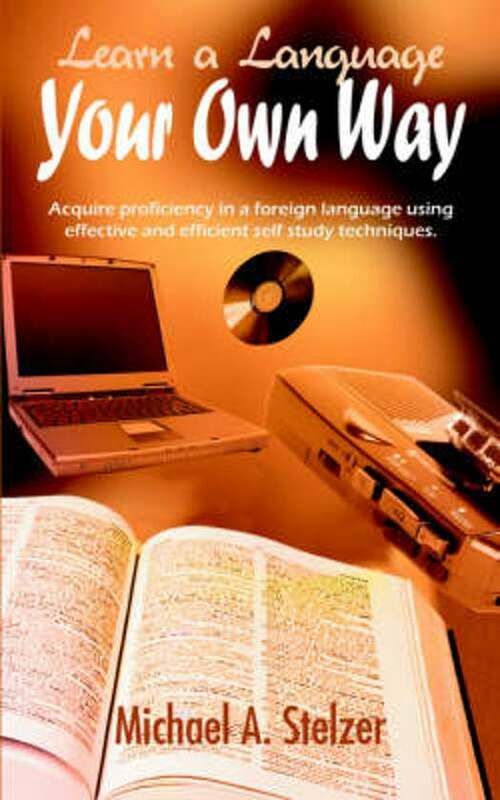 Originele Titel Learn a Language Your Own Way: Acquire Proficiency in a Foreign Language Using Effective and Efficient Self Study Techniques. Subtitel Acquire Proficiency in a Foreign Language Using Effective and Efficient Self Study Techniques.